I’m delighted to share 10 tips for Throwing a DIY theme party because I LOVE theme parties and I know they can be overwhelming for others. Over the years I’ve found they all have the same basic structure, just changing according to themes. I was originally going to title this post as “budget friendly”, but I realize that term is quite variable. I actually conducted a little Facebook survey to see what most people budget for parties, and got answers all over the board. Not buying them any presents from mom and dad. This is tricky for me because I love gifts, but I see the party as my gift to them, and when they have friends bringing gifts, they don’t really care anyway. Saving all my past party stuff, so there is a bit of an investment as we go, but I use some staples over and over. I used to give myself a $100 budget, sometimes that stretches to $200 though, but these tips can be modified to any budget, it’s just a helpful way to plan. 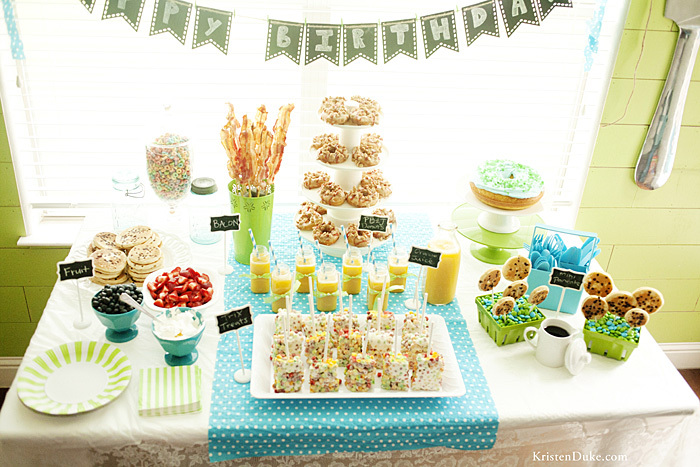 I normally feed my party go-ers LOTS of food, and food/treats are part of my decoration as well. The ideas below can be catered to any budget, so pick and choose the elements that are best for you. I LOVE parties, and I love to decorate for them. I generally focus first on one main table, and then if I have extra elements, I’ll pull out a few other small tables. Below are the ten steps in my thinking process as I plan. Just as a reference, you can see all the Parties I’ve planned, (on that link) but I’ll be linking and sharing to specific ideas within this post. Pick a theme. There are ENDLESS ideas for themes. I think for kids, it’s typical for them to pick their favorite TV character, but I try to think outside the box a little with thinking about something they love. My daughter wanted to be a ballerina (patterned after Angelina Ballerina) but instead of featuring the TV character, I spun it into everything Ballerina. I try to involve the kids as much as possible, but I also tend to steer them into a certain direction as well. If you are completely stumped on themes, look online for ideas. 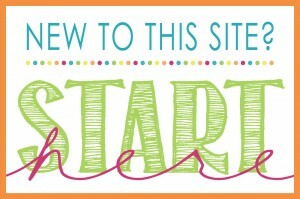 I like to look at the Pinterest pages from Kara’s Party Ideas and TomKat Studio as my favorites, I’ve also got a Party Pinterest board that I save party element Ideas I like. I tried to talk one of my kids into a Cookies & Milk party, once, so fun! Select Colors. These don’t have to be conventional according to your theme. Just because it’s Batman, doesn’t have to mean it’s yellow and black. It’s fun to add that element of surprise and make it different. Think outside the box, or of course you can also go traditional. Sometimes it can be hard to narrow down colors if the theme doesn’t necessarily help you you. Ask the guest of honor for color suggests, look around online to see what colors go great together. Below are the colors we chose for the Rockstar Birthday Party. I have a Pinterest board completely dedicated to color boards. Choose a venue. Home or Away? This is a tough call for me, because I like to have parties at home. However, in all the frenzy of party prep, it also means I have to have my home immaculate decently clean by the time the attendee’s arrive. I also like that I don’t have to transport everything to the new location, and I will generally start setting up a day or two before the event. However, the few times I’ve had the party away, it’s been nice to not have to worry about the cleaning part, and just focus on the party. But I’ve had to transport things, and of course will have forgotten something. For my daughter’s Neon Skate Party, we had it at our neighborhood clubhouse (which was free, but I had to put down a deposit for incidentals) and I forgot the candles. I was able to run home and get them, but it was a bit annoying. No matter where you have it, there will be frenzy, for sure. At the Neon party, the girls “shopped” the main table for their take home gift, and it was fun to have it all on the table. It was both decoration, eating, and gift all rolled into one! Gather textiles in your colors and staple dishes. I like to grab: fabric, paper, ribbon, paint, washi tape, paper straws, paper plates/napkins, plastic tablecloths, and paper products from places that I can return if I get too much. Fabric is the only one that won’t return so easily, so be thoughtful about that one. With dishes, you can either start a collection, or borrow, but having clear or white dishes, vases, and stands will help you for many parties to come. I pull all of mine out as I am setting up the table, and depending on what I’ve got to display, I will use different pieces. If you look around at my party pictures, you will see a lot of the same dishes repeated. I may or may not have spray painted some things I had to match the theme, too. 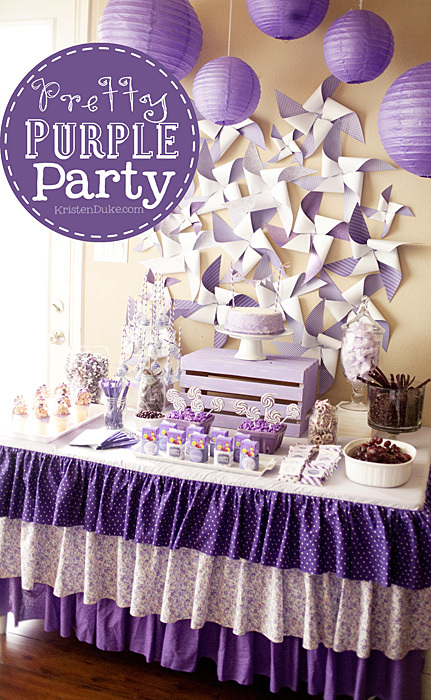 Last year, her favorite color was purple, so we planned a Pretty PURPLE party, which was probably one of the funnest for me to plan because I just gathered everything purple. Color parties are really fun! You’ll see clear mason jars, a white cake plate, and several other clear/white dishes below. Decide on a backdrop. Every party table needs a great background to anchor the rest of the decorations. I generally like to think this out, and set it up ahead of time, then I plan everything else on the table around it. I’ve used a GIANT canvas, a fabric banner, an old crib spring, paper pinwheels, or a vintage window with fabric behind it. I will PIN great backgrounds I see onto my Party Pinterest board, and it’s a creative challenge for me with each party, how I will make my background just a little bit different. 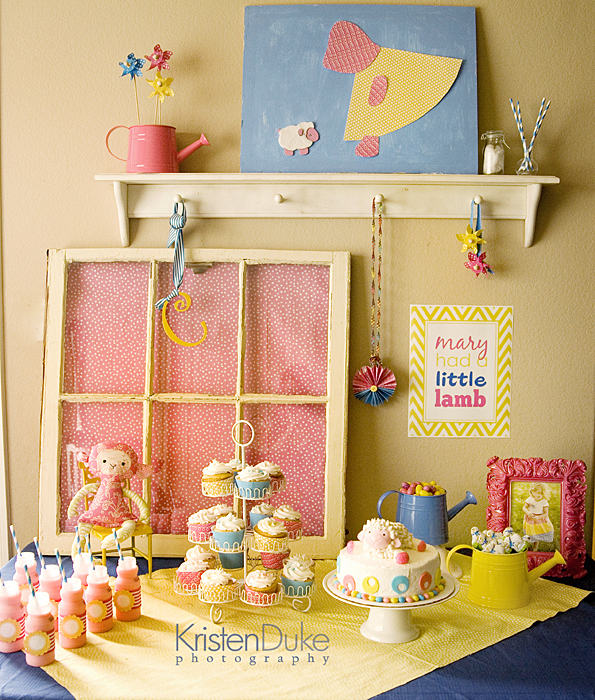 You can see in the Mary Had a Little Lamb party below, the vintage window I used with just a piece of fabric in the background. You can also check out these photo booth background ideas and apply them to a party table. Local shopping. I never really know how much stuff I’ll use until I’m home working, so I will get WAY too much. My favorite spots to find party supplies are: Party City, Hobby Lobby, Michaels, and Target. All of those stores have REALLY stepped it up a notch in the party section the past year. 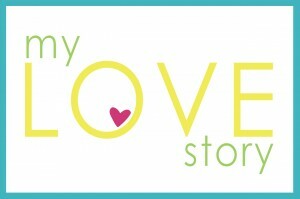 Once I’ve scoured the stores, I know what I can’t find locally, and will go check out my online options. I will often buy quite a bit locally, knowing I can easily return them later (keep receipts in a safe spot). In the Breakfast in PJ’s party picture below, I just used a scrap of fabric run down the center, and it added a great pop of color. Shop online. I generally know my theme and colors a good month in advance. Once I have those set, I like to look around online for things that might be more difficult to find. For my skate party, I got a Wilton skate candy mold, I also got some NEON accessories that might be tricky to track down. I got a ballet shoe piñata that wasn’t sold in stores. I love: Amazon, Oriental Trading, Etsy, and Birthday Express. Fun and unique party favors often found there (I got a ballerina necklace for $1.50 each at Birthday Express). 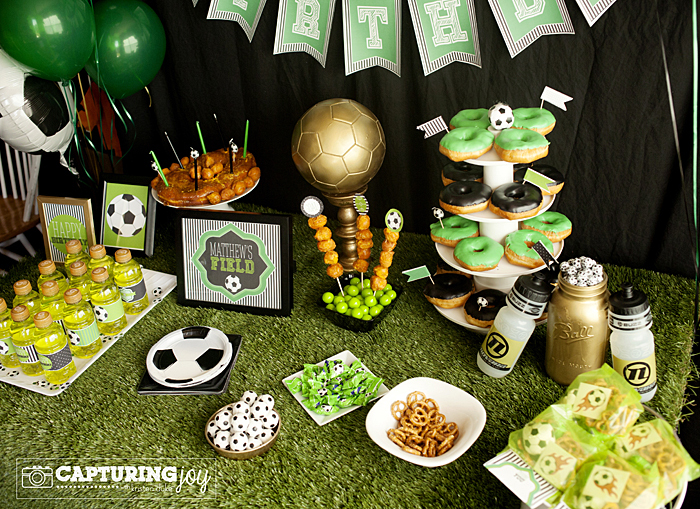 You can find lots of birthday printables on Etsy or from fabulous bloggers like Love the Day (she helped with my soccer and purple party printables, making them custom). Trade services with friends: I am a BIG fan of trading services. 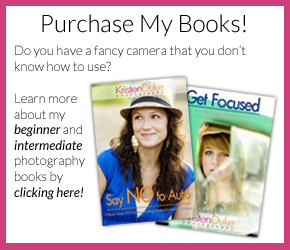 I do have something that is easier for me to trade (photography) but get creative. If you have a friend that makes cakes or cute cookies, ask if they are up for a trade, and offer a suggestion of a few things you can do for them. Maybe they have young kids, and you can offer to watch them a handful of times so they can relax. Maybe you teach a class or can sew really well. You don’t have to do it all at your parties, even having a good friend make a few simple recipes in exchange for help with something for them, will help relieve a lot of stress for you on the day of the party. 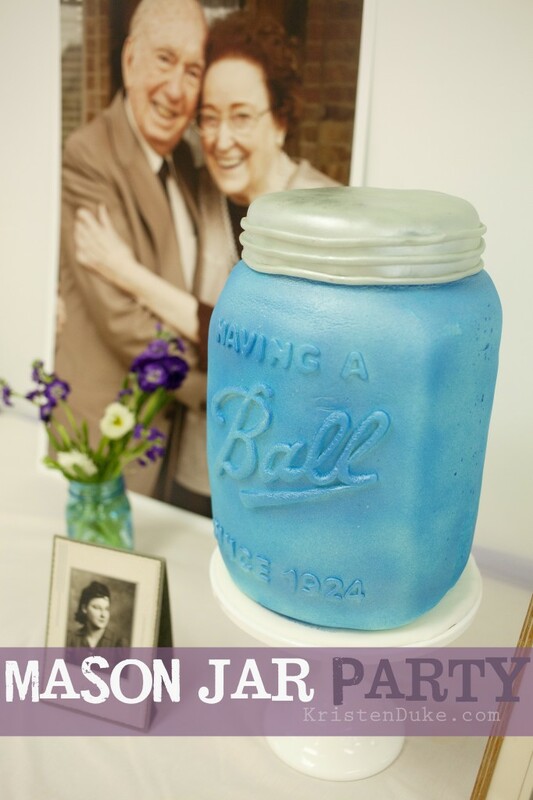 I traded services along with a discount for my amazing friend at Topsy Turvy Cakes to make this cake for our Mason Jar 90th party for my grandparents (read over there why we chose that theme). Plan activities and games. 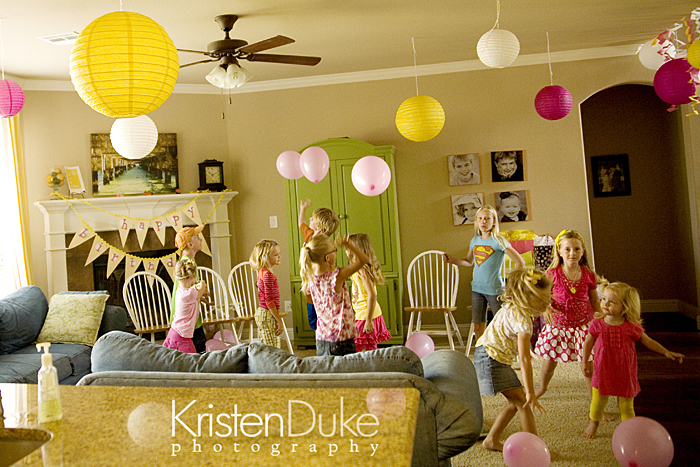 For young kids, I like to have a gathering activity such as bouncing the balloon in the air. Once they have all arrived, I like to have a book on hand that will calm them down a bit, and introduce them to the theme. I’ll have a photo booth of sorts on hand, with plans to also play a few outdoor games. My husband and older kids are really good and rallying the troops this way, so this allows me to relax a bit and focus on the eating portion. 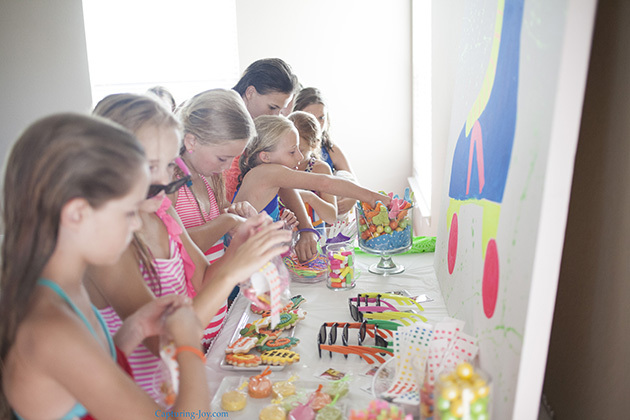 Once games are complete, we will often have the food, and my kids love to open their gifts with their friends there. 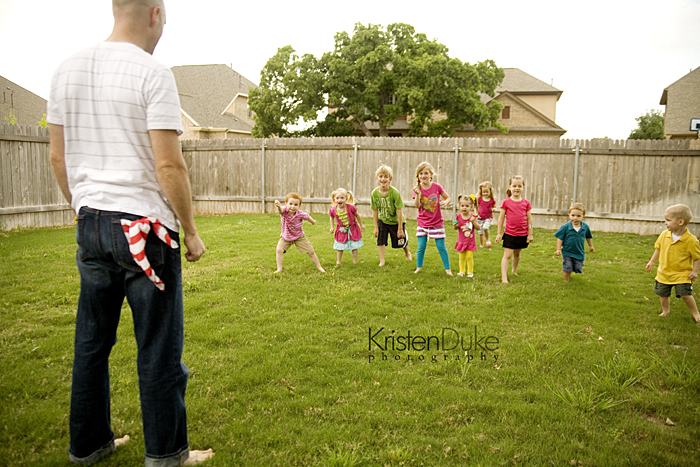 The games don’t even have to do anything with the theme, below, at the Lalaloopsey Party, they were playing tag . I generally have a party last an hour and a half for younger kids, longer as they get older and there is more of an activity involved (swimming or video gaming). ***A little side note. 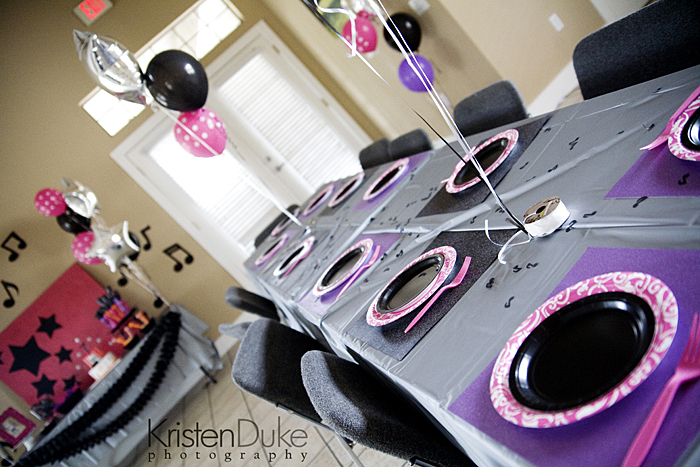 It took me a few parties to get my groove at arranging things on a table. 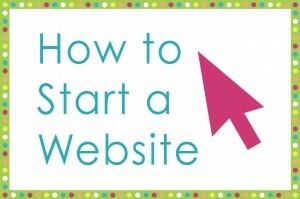 It’s all about varying height, a great background, and elements to match your theme. Look online for ideas, then put your own spin on things. It’s one of the most fun and creative projects I like to work on! Some might say I go “overboard” but I enjoy the process, and it’s my only gift to my kids. If pictures mean something to you, look at where the light is good, and have parties during daylight hours. 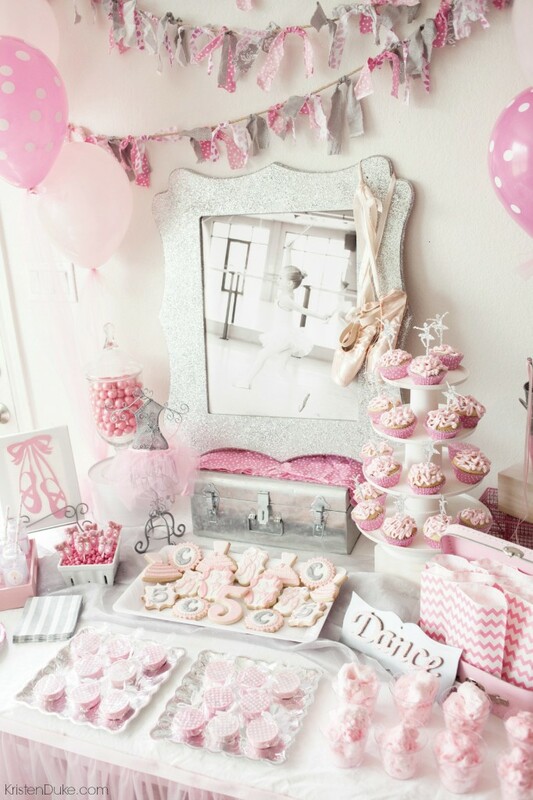 Do you have any birthday party planning tips?? 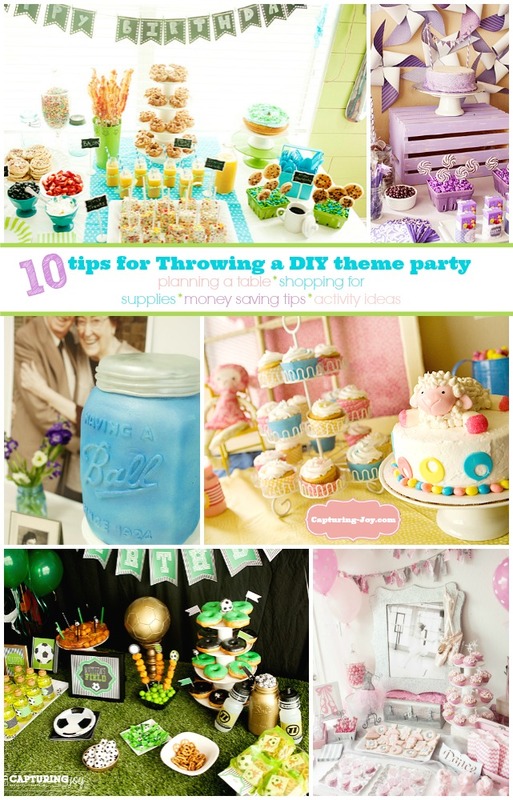 I hope these 10 tips for Throwing a DIY theme party helped you! To see all of the parties I mentioned in this post, plus more, click on the PARTY TAB (here or above later). 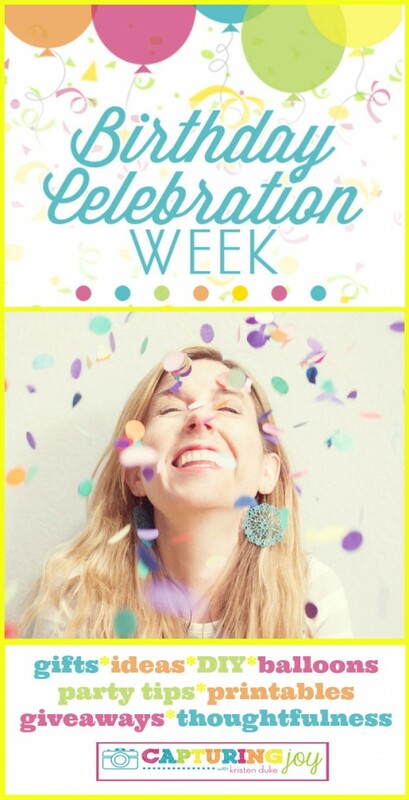 Did you miss any of the other Birthday posts I shared as part of my Birthday Celebration Week? You must check them out! I’ve got a Birthday Photo Booth, Yearly Free Printable Calendar, 101+ Gift Ideas for Friends, The Birthday Plate, and so much more!